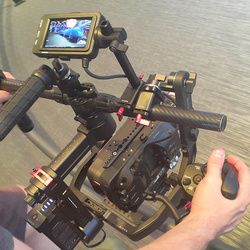 Visionrouge.net is a corporate video production company specialized in providing video and sound local crew for 4K or fullHD video production in greater China. Based in Hong Kong and Shanghai, we can travel easily to all over Asia to meet your needs. We have a dual business license ensuring our team seamless work wherever you need us to be. As we own the filming equipment, it's a great way to avoid sub-rental surprises and make sure our team know each piece of the kit they will be using. Either you need just a sound tech in Nanjing or a single camera operator to hire in Shenzhen, we can surely provide such service. We love industrial and corporate environment, from office interview in Hangzhou to following your production process in a remote factory in Chengdu. We do aerial pictures, [ http://www.visionrouge.net/web/aerial-services-drone-china-shanghai/ ] prompter setup, sound recording and many more specific shootings request to always be ready for making your factory shine. A 2 camera crew rate is very affordable but you could be surprised how a single freelance cameraman package is enough most of the time.